What the eff is a Zarzuela, anyway? Just kidding. There’s waaaaaa-a-a-a-a-ay more to this delicious art form than that little tidbit. Zarzuela is wonderful genre that has been given a few attempts at taking the spotlight in the lyric theatre world, championed by the likes of Montserrat Caballé and Plácido Domingo, and now Canada’s Guillermo Silva-Marin. Zarzuela is like the mysterious, attractive cousin of Viennese operetta and even early musical theatre (before the mega-musical revolution of the late 80s and the rock/pop/jukebox musical revolution of the late 90s*) with sung arias, ensembles and scenes presented in full lyric voice with spoken dialogue. It is believed that the name is derived from the “zarzas” or bramble bushes that surrounded King Juan Carlos and Queen Sofia’s Palacio de la Zarzuela where they were first commissioned and performed for the royal couple. They tell stories of love, fortune, loss and triumph, all while melding the artistic influences found around Europe with Spanish flavour and sensibilities. Yes, you’ll hear fox-trots and waltzes, but you’ll also hear tangos and segeduillas and jotas. Often these pieces were written with a satirical pen in an attempt to demonstrate the ways the government was failing its people. This led to many of the works’ being prohibited or outright banned from performance. Not until the relatively recent relaxation of Spanish culture in regards to sharing it with the world, are we now starting to see Zarzuela productions pop up in lots of cultures that aren’t predominantly Spanish-speaking. Opening tonight, Wednesday, April 27th at the St. Lawrence Centre for the Arts, Toronto Operetta Theatre will present yet another Canadian premiere of one of these phenomenal works. Having great success presenting other Zarzuela in the past, such as La Reveltosa, Luisa Fernanda, and La Gran Via, to name a few, this time TOT, with the help of the Spanish Embassy, is presenting Jacinto Guerrero’s delicious work Los Gavilanes (The Sparrow Hawks). A sparrow hawk is known in the wild for stealing the chicks of other birds from their nests. This Zarzuela tells the story of Juan, a man who left his poor fishing village in search of adventure and fortune in Peru. He returns twenty years later a millionaire - and that’s when things get sticky. He agrees to marry Rosaura, a young maiden in the village who happens to be in love with Gustavo (the only guy in the village who’s paid off his debts), and takes her from the young man’s arms. See the metaphor? Oh yeah, and Rosaura? She just happens to be the daughter of the woman he abandoned in the village twenty years ago when he went to Peru without a word. Gillermo Silva-Marin, General Director, Toronto Operetta Theatre. 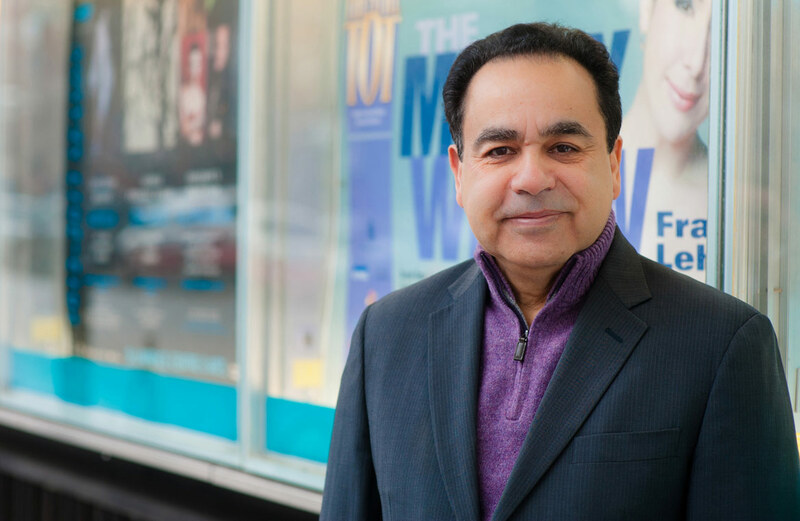 Taking the helm as stage director and playing the role of the gilded Juan, is Guillermo Silva-Marin, General Director of Toronto Operetta Theatre. Puerto Rican by birth, Canadian at heart, Silva-Marin has been at the forefront of championing not only this Spanish genre of lyric theatre, but also the careers of young Canadian artists - and this production is no different. Alongside Guillermo you’ll see tenor Ernesto Ramírez, soprano Miriam Khalil, soprano Sarah Forestieri, baritone Diego Catalá, mezzo-soprano Tamera Newberry, soprano Anna Caroline MacDonald, soprano Kari Abraham, baritone Austin Larusson and myself. Rounding out the cast as the matriarch Doña Leontina is New Zealand-born mezzo-soprano Rosalind McArthur and a top-notch ensemble. Led from the pit by Toronto Masque Theatre’s Larry Beckwith, the small intimate orchestra blends the traditional dance styles found in Viennese operetta with the colours and finesse of Spanish music. The score is at times quintessentially Spanish, though often you can hear the likes of Puccini and Verdi infused throughout. 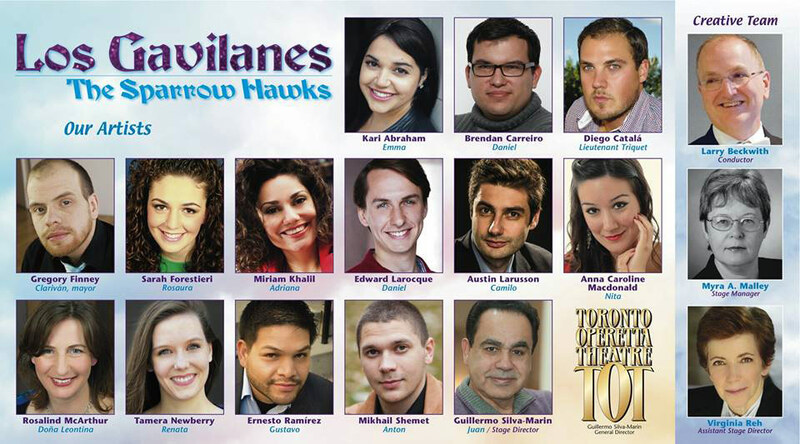 Los Gavilanes runs for four shows, April 27 and 29 at 8pm, and April 30 and May 1 at 3pm. Get your tickets here - they’re going fast! *With notable exceptions, of course.